We provide services through a network of sub agents to all of the below ports. 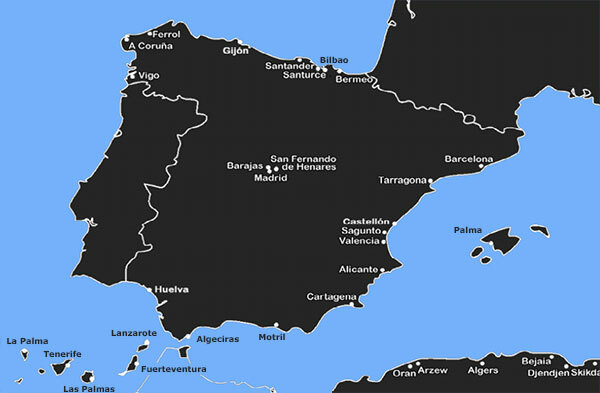 Motril, Oran, Sagunto, Santander, Santurce, Skikda, Tenerife, Valencia, Vigo. For any quotes or assistance you may need please contact us.